WESLACO — Close to a year into its expansion to the Mid-Valley region, the University of Texas Rio Grande Valley School of Medicine has received a nearly $2 million gift to start genomic research on diabetes using Valley participants. The four-year grant came from the Knapp Community Care Foundation, a nonprofit private foundation based in Weslaco, which was also involved in the establishment of UTRGV’s first family practice and Graduate Medical Education residency program in the Mid-Valley. The money will be allocated at UTRGV’s South Texas Diabetes and Obesity Institute to recruit 1,000 participants from the Valley and track how diabetes specifically affects this area. Through the project, scientists at the institute will study families at high risk for diabetes to find genetic factors that could contribute to the development of this disease and other related health conditions, including obesity, cardiovascular disease and fatty liver disease. Recruiting will focus on the areas of Edcouch-Elsa, La Blanca, La Villa, Mercedes, Monte Alto, San Carlos and Weslaco, the release states. Scientist will be looking for individuals between the ages of 30 and 40 who have Type 2 diabetes and are part of large families. The families would also be invited to participate and scientists will analyze blood samples in efforts to identify genetic and environmental factors linked to their risk for these diseases. Scientists involved in the institute have conducted similar genomic research in San Antonio, but this is the first of its kind in the Valley. 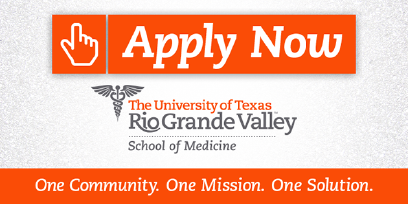 Participants will be required to undergo a general physical exam and complete a health questionnaire, and those in need of follow-up care will be referred to Knapp Medical Center, which is part of UTRGV’s Family Practice Residency Clinic. The institute’s goal aligns with the Knapp Foundation’s overall mission of improving the health of Mid-Valley families by supporting preventative health care, educational and wellness programs, and health care access for the most underserved members of the community. “We are honored to be part of this project and feel strongly that the knowledge gained could lead to new and improved interventions for diabetes in the future,” said Yvonne “Bonnie” Gonzalez, chief executive officer of the Knapp Community Care Foundation, in the release.